If you’re familiar with the computer or twitter phrase L.O.L., you know it can mean Laugh Out Loud, Lots of Laughs and even Lots of Love. Happily it means all three in the hilarious comedy written by Marc Camoletti “Boeing Boeing” flying high weekends until Saturday, April 26 at Connecticut Cabaret Theatre in Berlin. Fasten your seat belts and put your seat in an upright position as the laughing gas starts flowing freely from the gas mask overhead. Bernard is an architect living the good life in Paris, a bachelor with a great apartment and a brilliant plan to have his cake and eat it too, with no intention of losing his head in the process. Joe Autuoro’s Bernard is giving “swinging” a new name. He is a juggler, not of balls or of eggs, but of fiancees. His master plan is simple and ingenious: date a trio of air hostesses and coordinate their time table flying schedules so they never meet. His romantic revolving door life style is the envy of an old friend from America Robert, an admiring Chris Pearson, who comes to visit unannounced and stays on to marvel. Helping Bernard organize his involving plot is his maid Berthe, delightfully droll in the hands of Barbara Horan. While not approving of his shenanigans, she is willing to be bribed, through her increasing pay check, to help Bernard pull off the ruse. Meanwhile, offering Bernard “coffee, tea or me” are a bevy of international beauties: Meagan Bomar’s down-to-earth and devoted Gloria, the American TWA stewardess, Kaite Corda’s passionate and pouty Gabriella with Alitalia and Ashley Ayala’s fiery and flamboyant Gretchen with Luftansa. This worldly harem works wonderfully as long as each lady arrives and departs on schedule. What would happen, however, if a storm hits, a flight is cancelled, a new plane decreases travel time? Comic chaos for sure, under the skilled hands of Captain Kris McMurray as chief pilot. This cast goes over the top to fly high into the comedy clouds. For tickets ($30), call the CT Cabaret Theatre, 31-33 Webster Square Road, Berlin at 860-829-1248 or online at www.ctcabaret.com. Performances are 8 p.m. Friday and Saturday, with doors opening at 7:15 p.m. Bring goodies to share at your table or plan to visit the dessert bar on site. With a philosophy of no panic/no problem, watch Bernard’s superb juggling skills crash and burn as an unexpected wind blows his super scheduling way off course. 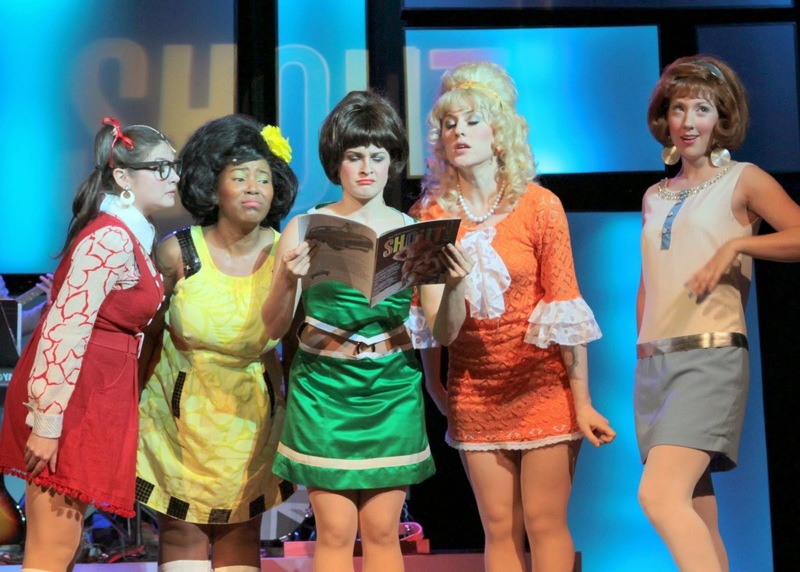 Let’s get groovy, put on a psychedelic t-shirt, tease your hair into a football helmet and bop on over to the Ivoryton Playhouse for one heck of a musical good time. Bring a bunch of coins for the live juke box of a band and prepare to party hearty and dance with joy. Until Sunday, April 6, the tempo will be lively, bouncy, upbeat and fast as “Shout! 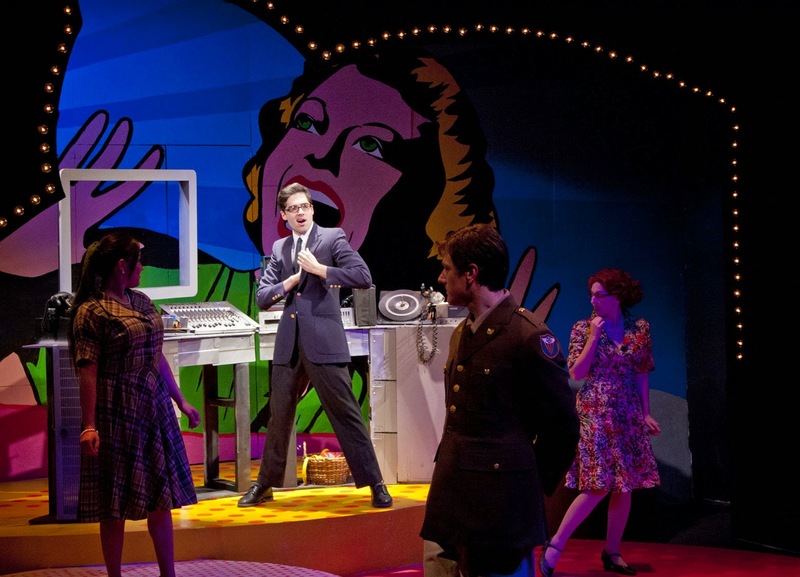 The Mod Musical” makes musical magic. Created by Philip George and David Lowenstein, the mood is merry and just right for toe-tapping, glad hand clapping and just plain jane fun. There’s no real deep story line, just a mod magazine “Shout!” that screams current fashions and foibles of females of the sixties, brought to bubbling life by a quintet of glam gals in a vibrancy of colors. Jennifer Lorne is blue girl, Tamala Baldwin is yellow girl, Mikah Horn is orange, Monica Bradley is green and Bethany Fitzgerald is red. Each gal, dressed in her signature color, has a unique personality and the particular problems that plague her. In a variety of clothing short and long, spangles and stripes, with appropriate wigs that capture the hair fashions of the day, these girls serenade with tunes like “Downtown,” “Georgy Girl,” “Don’t Sleep in the Subway,” “These Boots Are Made for Walkin’ “ and “To Sir, With Love,” thirty great songs in all. The women who range in age and sophistication from their twenties to their forties, all have questions about men, love and relationships. They address them to Shout! Magazine’s supposedly savvy advice columnist Gwendolyn Holmes (Beverley Taylor) with varying degrees of success. Set in London, these females want to be strong and independent, “birds” with colorful feathers who are ready and able to fly free on their own. The magazine’s hipster voice (Steve Phelan) chronicles their journey through the sixties to the cusp of 1970. Jacqueline Hubbard directs this rainbow hued song fest that captures the changing attitudes of women of that time and place, with a great cast that makes you want to "kick up your heels and shout." For tickets ($42, seniors $37, students $20, children $15 ), call the Ivoryton Playhouse, 103 Main Street, Ivoryton at 860-767-7318 or online at www.ivorytonplayhouse.org. Performances are Wednesday and Thursday at 7:30 p.m., Friday and Saturday at 8 p.m., with matinees Wednesday and Saturday at 2 p.m. Grab your go-go boots, squeeze into a mini-skirt, practice the frug, the twist and the swim, and bogey to the beautiful beat! The magic of music will be offered on Saturday afternoon, April 5 at 2 p.m. when Hamden's Whitney Center, 200 Leeder Hill Drive, provides a special concert "Notes For Kids" with students from the Yale School of Music. Sponsored by the Aid for Orphans Relief Foundation, it will feature a String Trio playing Mozart's Divertimento for Spring Trio in E-Flat Major K.563 and Beethoven's String Trio Op.9 No. 3 in C Minor. The String Trio includes Jia Cao on cello, Zou Yu on violin and Xinyi Xu on viola. A raffle and reception is included in this free event. Call 203-606-8857 or email: info@aidorphansrelief.org for more information. The Aid for Orphans Relief Foundation provides medication and nutrition to children at risk in Connecticut and around the world. Dr. Margaret Chustecki is the founder and managing director who established the organization after visiting orphanages in her native Poland and witnessing first hand the dire needs to help. Her efforts have since expanded to Africa, Eastern Europe and closer to home in this country. The Aid for Orphans Relief Foundation, AORF, is dedicated to improving health of children as well as preventing them from dying. To help one child at a time, send your donation to : AORF, 1952 Whitney Avenue, Hamden, CT 06517. Come celebrate this worthy cause with a concert on April 5. Did you ever feel that no matter where you were, you needed to be somewhere else, in "the other place"? New moms often experience it, that when they are with their newborn, there is a pull to be at the office and vice versa. The struggle can be real, an internal tug that causes conflict and uncertainty. For Juliana Smithton, the struggle is mental and emotional as well as physical and the result is disturbingly authentic. Let TheaterWorks of Hartford draw you into the fray and make you a referee for Juliana's fight for stability as it presents the powerful and poignant "The Other Place" by Sharr White until Saturday, April 19. One moment Juliana, brought to brilliantly conflicted life by Kate Levy, is the self-assured and confidant pharmaceutical researcher introducing her new drug for dementia patients to a seminar of doctors meeting in a St. Maarten resort. While focused on her detailed presentation, she is distracted by a woman, clad only in a yellow bikini, visible among the sea of physicians, much like an exotic fish coexisting in a flock of crows. Moments later, she experiences an episode, a frightening medical problem, that convinces her that she, at only 52, has a brain tumor, a malady that has afflicted many family members. Her husband Ian is an oncologist specializing in brain cancer so her self-diagnosis seems reasonable. Ian, a supportive and patient R. Ward Duffy, urges her to seek other opinions and undergo tests and arranges for her to see Dr. Teller (Amelia McClain). With Dr Teller, Juliana confesses Ian is divorcing her and is guilty of unfaithfulness. The fate of their daughter Laurel rises to the surface. As a rebellious teenager , Laurel ran away a decade before with Juliana's post doc assistant Richard (Clark Carmichael). Now that she is ill, Juliana seeks her comforting presence. As the scenes melt into the past, we witness Juliana's disintegration, a complex mental and emotional journey that leaves tiny stepping stones of memory, exposing the puzzle of her perplexing problems. Rob Ruggiero directs this beautifully tragic mind mystery, with a fine cast of actors making her story all too believable. For tickets ($50-65, seniors matinees $35), call TheaterWorks, 233 Pearl Street, Hartford at 860-527-7838 or online at www.theaterworkshartford.org. Performances are Tuesday to Thursday at 7:30 p.m., Friday and Saturday at 8 p.m. and weekend matinees at 2:30 p.m. Come early to visit the art gallery upstairs. Juliana's beach house in Cape Cod is "the other place" where she desperately hopes Laurel will reappear and give her life the closure she wants and needs for her family. Jeanine Serralles as Bea and David Wilson Barnes as Ben in These Paper Bullets! Photo © Joan Marcus, 2014. Take a Shakespearean comedy with two pair of only slightly star-crossed lovers, a rock band that intentionally resembles the Beatles, add in a mod fashionista clothing queen as well as a real reigning monarch, set the whole kit and kaboodle in London in 1964 and you have a fun, fantastic and fabulous entertainment feast. It's like having a giant banana split with all your favorite flavors of ice cream, like pistachio, raspberry and coffee, and you savor every bite but you can't wait for the next big spoonful. Imagine York Street's University Theatre is now Carnaby Street, London and let the extraordinary cast of the Yale Repertory Theatre present for your astonishing pleasure "These Paper Bullets! a Modish Ripoff of William Shakespeare's 'Much Ado About Nothing,' " adapted by Rolin Jones, with songs by Green Day's Billie Joe Armstrong and directed by Jackson Gay until Saturday, April 5. Cunningly clever and creative, it would earn an A++ on the Show Business School's annual report card. Part rock concert, part work of the Bard, it startles, surprises and amazes at every turn as Cupid's arrows fly hither and yon and plots of revenge boil over. Does true friendship exist? Is faithfulness a vanishing trait? Can you trust your own feelings to be real or must you rely on others to know your own heart? Let your inhibitions fly free and simply enjoy the fun. At the musical heart of the action are the rock group The Quartos, who are all the rage of their female fans. Led by Ben (David Wilson Barnes), they include Claude (Bryan Fenkart), Balth (Lucas Papaelias), Pedro (James Barry) and their manager Anton (James Lloyd Reynolds). Don Best (Adam O'Byrne) was once part of the group as drummer but he has been replaced and is now a virtual errand boy. His desire to bring the group down is soon evident. In the world of mod fashion, Bea (Jeanine Serralles) reigns supreme. With her girls, as both models and friends, Higgy (Ariana Venturi), Ulcie (Keira Naughton) and Frida (Ceci Fernandez), Bea rules her clothing kingdom. She has a long standing verbal war of words with Ben and the two protest their mutual and monumental disdain for each other and for love and marriage...until their friends trick them into revealing their true feelings. Bea and Ben are in extreme contrast to Higgy and Claude who are so smitten with each other they can barely utter a syllable. Their marriage is quickly arranged by Higgy's dad Leo (Stephen DeRosa), a wondrous affair in his hotel The Messina, until Don Best manipulates the menu. With his cohorts in crime Boris (Andrew Musselman) and Colin (Brian McManamon), Don Best is anything but a best man. It takes the sterling but bumbling efforts of New Scotland Yard to save the day, led by Mr. Barry (Greg Stuhr) and his Three Stooges-like assistants (Brad Heberlee, Anthony Manna and Jabari Brisport). Recording it all for the public at large, concerned citizens eager to know, is Paulina Noble (Liz Wisan) of the BBC. Even the Queen (Christopher Geary) pops by for a royal wave. For tickets ($20-98), call the Yale Rep at 203-432-1234 or online at www.yalerep.org. Performances are Tuesday to Saturday at 8 p.m., with matinees selected Wednesdays and Saturdays at 2 p.m. Three 10:30 a.m. shows for high school students are also planned. Shows are at the University Theatre, 222 York Street, New Haven. Anything can happen and everything does in this over-the-top hilarious tribute to the Bard as he trips the light fantastic down Carnaby Street. Don't miss the opportunity to stroll along with him. If you have a Bucket List, maybe one item on it is to be a movie star. The closest I will ever come occurred on Friday, March 14, 2014 when I was part of Alex's team, a volunteer extra on the movie "Boychoir." Filmed at Fairfield University, Greenwich, New Haven at Yale University and at various sites all over Connecticut, it is the story of a troubled teen who seeks music as solace for his soul. Written by Ben Ripley, "Boychoir" is based on the American Boychoir School, originally established in 1937 in Columbus, Ohio and, since 1950, in Princeton, New Jersey. The students, from fourth to eighth grade, are all gifted with superb soprano voices that are angelic in nature. Since they quickly lose that heavenly sound when they reach puberty, capturing their voices in that specific window of time is vital. Several weeks ago at the Quick Center on the Fairfield University campus, Dustin Hoffman, the star of "Boychoir," and Francois Girard, the director, spoke about the project. A call went out for "extras," seat fillers if you will: hence, my movie career began and ended that day. The commitment, unpaid, began at 9:30 a.m. at Woolsey Hall in New Haven, with filming of a crowd walking in to a concert, in 19 degree weather, again and again and again. I'm the one in the bright red coat freezing. The next scenes were filmed nearby at Yale's Sprague Memorial Hall on College Street where Mr. Hoffman, with a girl to carry his jacket, comb his hair, hand him Kleenex, provide a water bottle and powder his nose were all available (each with one specific task). His double stood at the podium as lights and camera angles were adjusted. When he took his spot, he practiced conducting the choir, getting instruction from Fernando Malvar-Ruiz, the music director from the American Boychoir School and the music director in the movie. 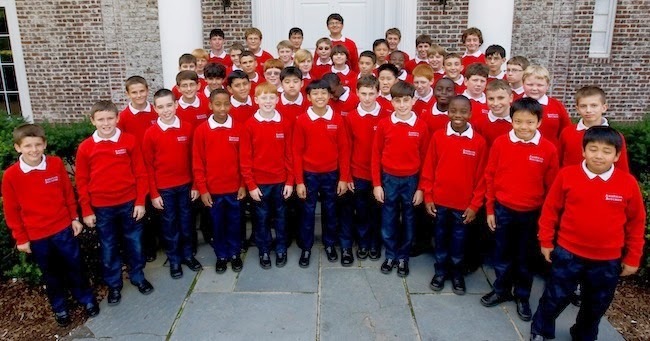 Hand gestures were copied and perfected until the 31 member real boys choir, in red sweater vests, appeared. The song was pre-recorded and only the principal boys actually sang: Dante Soriano who plays a student who befriends the angry youth and Garrett Wareing who plays Stet, the eleven year old orphan from Texas whose single mom has just died. The boys who are in Connecticut for two weeks came with a tutor and school books and were quite enjoying the experience. Extremely polite, these pre-adolescents, strive to be one of the best choirs in the world. They have sung on stage with Beyonce and Paul McCartney as well as with Yo Yo Ma, the cellist, to name drop a few. They serve as American ambassadors of song, having sung for every president since JFK. From May 24 to June 4, they will perform in France. The dozens of crew members, dressed informally in shirts and jeans, with ear sets and microphones, relayed orders until a chorus of "rolling" was heard, indicating cameras are ready to record. As an audience member, we were expected to listen attentively and applaud enthusiastically. Dressed in a fushia cocktail dress, I hope I will be visible for at least a few seconds of air time. Lunch was a disappointing hot dog and chips while the union paid cast had fish, roast beef, string beans, clam chowder, ice cream and cake. A little discrimination between the classes was felt by the unpaid underlings, though Hoffman ordered pizza for everyone. After conducting, Hoffman wiggled his fingers behind him to encourage our applause to increase it exponentially. Why not, he was the real deal star of the day. Others in the cast are Alfred Molina, Debra Winger, and Kathy Bates. 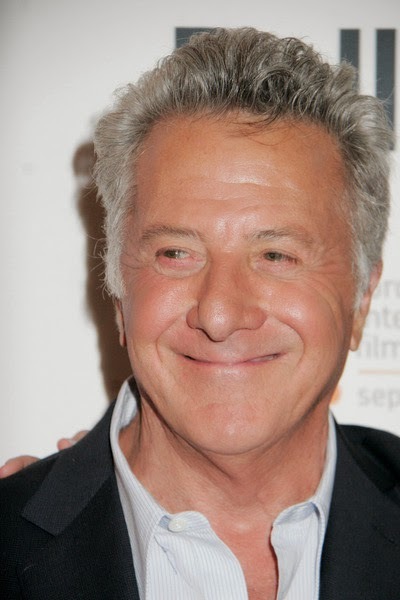 Dustin Hoffman plays a demanding choir master who pushes Stet to develop his voice and his creativity. Unfortunately the governor's decision to end the 30% tax credits in the state for movie making will discourage big-budget movies from filming here...and just when my movie career was on a roll. When the doorbell rings, you might expect it to be the Avon lady, the Fuller Brush man or a Girl Scout selling Thin Mint cookies. But don't forget to include that persistent evangelical sect that offers you salvation and a glimpse of paradise. The Church of Jesus Christ of Latter-day Saints actively trains missionaries to travel all over the world, including your neighborhood, to introduce you to the word of God in their unique scripture known as The Book of Mormon. In 1830 in Palmyra, New York, Joseph Smith, only 21 years of age, was guided by the angel Moroni to discover ancient plates of gold inscribed with an unfamiliar language. God is said to have given Smith the gift to translate the ancient words and soon 5000 books were published. This book became the foundation for the Mormon Church and its journey from Smith to Brigham Young to Salt Lake City, Utah. This voyage is chronicled, with a lot of literary license, bizarre humor and blashemy, in the religiously irreverent and gloriously irreligious musical comedy penned by the creators of South Park, the animated cartoon on television, by Trey Parker (co-director, book, music, lyrics), Robert Lopez (book, music, lyrics) and Matt Stone (book, music, lyrics). 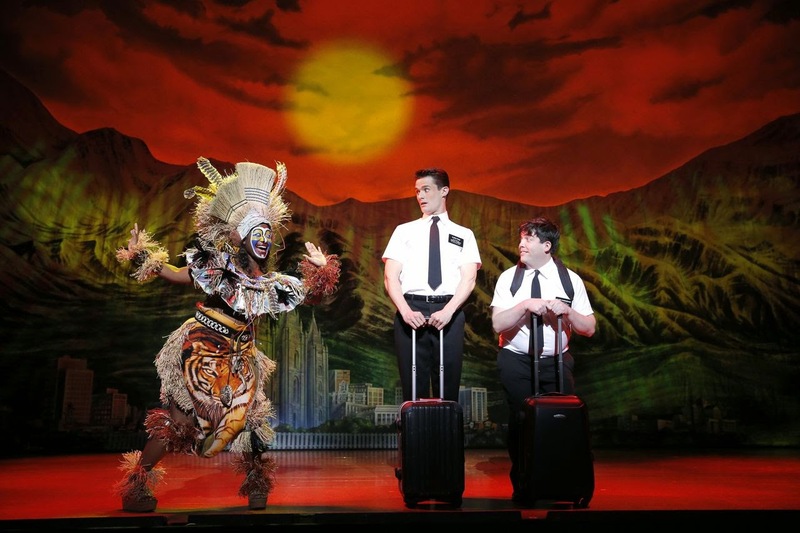 "The Book of Mormon" will reveal all to the uninitiated at Hartford's Bushnell Center for the Performing Arts until Sunday, March 30. Satire screams through every clever verse as two naive and young believers, missionaries, are sent directly from Utah to Uganda, without passing go and collecting $200 in donations or stopping for a ride at Disney Orlando for a ride on Dumbo. Elder Price (Mark Evans) and Elder Cunningham (Christopher John O'Neill) after three months of instruction at Missionary Training School are ill-equipped for their virgin assignment. Although Elder Price is self-assured and convinced of his calling, his co-hort Cunningham suffers from low self-esteem and a perpetual case of lying. The fact that he hasn't bothered to read "the book" doesn't help his pitch for conversion. Their arrival in the African village begins with their luggage being stolen and rapidly goes down hill from there. The villagers they meet are worried about starvation and AIDS and a menacing war lord (Corey Jones) and could care less about religion. One who does listen, a lovely young innocent girl named Nabulungi (Alexandra Ncube), the daughter of the chief (Stanley Wayne Mathis), pursues the hope of a better life the proselytizers are offering. While the existing Mormon team, led by Elder McKinley (Grey Henson) have previously had no success with conversions, the most unlikely one finds miraculous results. Musical number like "Hello," "Turn It Off," "I Am Here For You," "Man Up" and "I Am Africa" are engagingly clever. 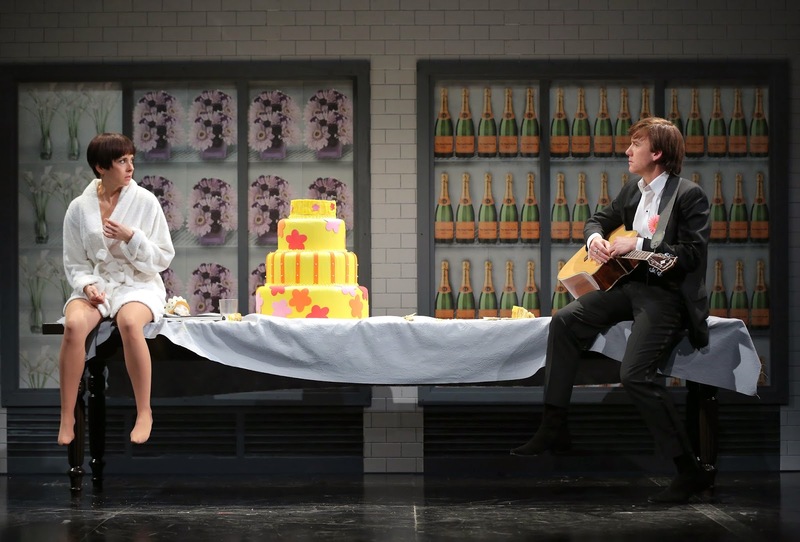 The cast puts themselves joyfully into the fray, becoming fully immersed in the music, comedy and story with gleeful abandon. All blue-haired grandmothers are advised to beware. For tickets ($43-160), call the Bushnell, 166 Capitol Avenue, Hartford at 860-987-5900 or online at www.bushnell.org. Performances are Tuesday to Thursday at 7:30 p.m., Friday at 8 p.m., Saturday at 2 p.m. and 8 p.m. and Sunday at 1 p.m. and 6:30 p.m.
Answer your doorbell when the Mormon missionaries come to call and discover for yourself if silliness and salvation are right for you. The city of Milwaukee has been invaded, but there is no need to panic. It happened decades ago, in 1955, and only in the mind of the playwright, James Valcq, who created "Zombies from the Beyond." And don't let the term Zombie cause dread or fear. These are definitely not members of the undead, creatures who have died and come back to life, to haunt the unsuspecting. Valcq's play, that opened Off-Broadway in 1995, pays homage to the Eisenhower era with tongue-in-cheek satire. Its campy style is meant to entertain as it pokes fun at sci-fi horror flicks. The Spirit of Broadway Theater in Norwich is having rockets of riotous fun as it launches "Zombies from the Beyond" for your viewing pleasure until Sunday, April 6. At the Milwaukee Space Center, everyone is agog. The principals in command are Major Malone (Steve Sabol) and his aide Rick Jones (Randy Ronco), with the able assistance of Charlene (Rori Nogee), their secretary, who is fixated on finding a male and mate. Also tap dancing in and out are the Major's majorly competent daughter Mary (Lauren Nocole Adams) and the cheerful and helpful deli delivery boy Billy (Paul Leitz). They are all eagerly awaitng the arrival of the noted rocket scientist Trenton Corbett (Michael Wesells). Corbett's appearance is soon overshadowed by the sight of a UFO, a flying saucer, posed to land on the infinitely ironic Galaxy of Coiffures Beauty Salon across the street from the space station. An Amazon-like she-creature Zombina (Nicole Lowenstein) quickly invades the Control Room, using her siren soprano voice to lure all males in the vicinity to obey her commands. Zombina needs males to re-populate her planet and serve as slaves she calls "Zombettes." The scientific silliness escalates, enhanced by tunes like "Rocket Roll," "Atomic Feet, "The Second Planet on the Right," "In the Stars" and "Deadline: Milwaukee." Zombina is clearly a Devious, Devilish Diva and she must be defeated by the women on earth, until the Wicked Witch of Outer Space is dead. Brett Bernardini directs this energetic cast in this cotton candy coated spoof with happy hands. For tickets ($32.50), call Spirit of Broadway Theater, 24 Chestnut Street, Norwich at 860-886-2378 or online at www.sbt@99main.com. Performances are Wednesday and Thursday at 7 p.m., Friday and Saturday at 8 p.m. and Sunday at 2 p.m.
Mark your calendars now for the 15th Annual On The Town Wine Tasting and Auction on Saturday, April 19 at 6:30 p.m., beginning with wine tasting, a silent auction and hors d'oeuvres, an 8:30 p.m. live auction and ending with a cabaret show from 9:30 to 10 p.m. Tickets are $50 for one and $90 for two. The Wine Tasting is sponsored by Towne Liquor Store, Norwich. Blast off into outer space for a musical journey to the beyond you will long remember as you count down from 10-9-8 to FUN. Keep your oxygen masks ready. Leave your inhibitions, reservations, hearing aids, walkers and canes at the door. Pop a few super vitamins and prepare to be electrified. The rock and roll party is set to explode on the stage of Waterbury's Palace Theater on Friday, March 21 at 8 p.m. and Saturday, March 22 at 2 p.m. and 8 p.m. when "Rock of Ages" arrives in colorful splendor. Don't for a moment confuse this show with Rock of Ages, the popular Christian hymn composed in 1763 by Reverend Augustus Toplody. The good reverend was inspired to write his song when he was traveling in his native England one day and was caught in a horrendous storm. Seeking shelter in a gap in a gorge near where he was walking, the first words of the tune came to him...:"Rock of Ages, cleft for me, Let me hide myself in Thee." He is said to have scribbled these words on a playing card, giving thanks for the sheltered protection the rock provided. 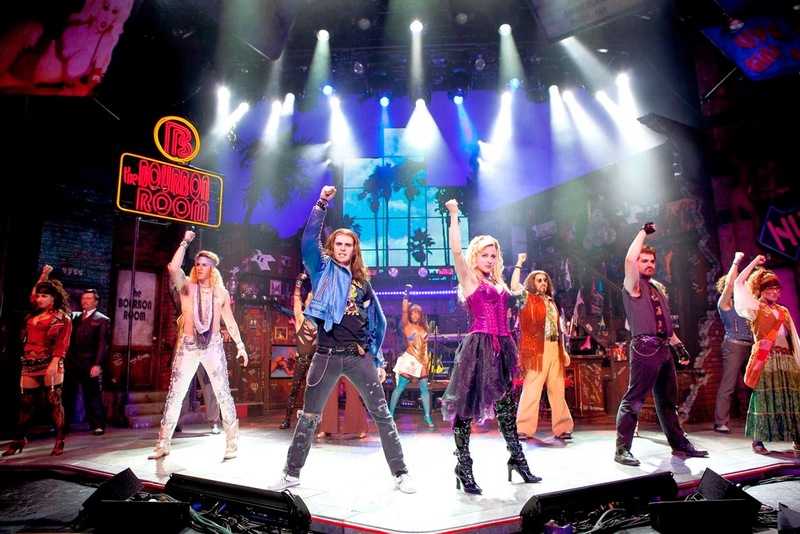 This totally different "Rock of Ages" is set in Los Angeles' Sunset Strip, in the year of our Lord 1987, and is called "the best party ever!" Two kids, a guy from South Detroit and one a small-town gal, meet in L.A. and find they share the same dream: to make it big in the world of music and movies. This is Drew and Sherrie's story. Think rock concert meets youth gone wild meets bad boy behavior. No rules need apply here. Fun, comedy, 80's tunes and outrageous pleasures are guaranteed as you don your acid-washed jeans and spray your bouffant hair to the last degree of solid. Maybe you got a little taste of the show when it prepared a number for the Super Bowl recently. Nominated for 5 Tony Awards, it features a rock band that takes part in the company as well as makes music. It pops and bangs out hits from Journey, Styx, Pat Benatar, Twisted Sister, Poison, Asia, Night Ranger and Reo Speedwagon, tunes that will make you levitate from your seat and make you want to party on and on and on. Classic rock tunes like "Don't Stop Believin,' " "We Built the City," "Here I Go Again," "Can't Fight This Feeling" and "I Wanna Know What Love Is" will resound to the rafters of the Palace. In this touring company, Dominique Scott will star as Drew and Shannon Mullen as Sherrie, two newcomers to town who meet and make musical magic. For tickets ($50-60-70), call the Palace, 100 East Main Street, Waterbury at 203-346-2000 or online at www.palacetheaterct.org. The show's book is by Chris D'Arienzo, directed by Kristin Hanggi and choreography by Kelly Devire, with original musical arrangements by David Gibbs. Show up at this feel-good party ready to rock and roll with your big hair sprayed and journey back to the 1980's for Fun, Fun, Fun. Mark Wonderton has the remarkable ability to make alcohol disappear. His prestidigitation is a skill he has develped over decades. Now he does two shows a day at the Four Movement Casino in the seedier side of Las Vegas, a magician who has long ago abandoned his love of the illusion. The New Haven Theater Company has been pulling rabbits out of its hat, performing "The Magician," a world premiere play by Drew Gray, who also directed his new endeavor. It played until Saturday, March 15 at New Haven's English Building Markets, 839 Chapel Street, the company's new permanent home. The story occurred to the playwright in a dream several years ago as "lines not associated with a specific character, not knowing who says them." He claims to never having been to Las Vegas and to not knowing any magicians personally, yet he has captured the world of Mark Wonderton with sensitivity and pathos. Magicians are not the only ones wedded to illusion. We can also deceive ourselves about life. Mark has clearly lost his "wonder." In the hands of George Kulp, he is vulnerable, questioning his choices, realizing he has lost opportunities for love that can never be retrieved. How much power and control do we actually have? We meet Mark after his matinee show, backstage with his manager Ronnie, a cynical and skeptical Peter Chenot, whose primary goal is keeping his "paycheck" performing and viable. The pair sit together and drink and drink and drink, exchanging life philosophy, verbally sparring in a love-hate-love relationship. A letter from Mark's sister-in-law contains news that throws him into a trickery mode that shatters his world and forces him to reexamine his relationships with family and friends. How will this news affect his evening show? Can he go on? Next up at New Haven Theater Company will be "Shipwrecked!" by New Haven Pulitzer prize-winning playwright Donald Marguiles, that reveals the amazing adventures of a man, escapades that are too exciting to believe. His unbelievable tales will be recounted this May. Go to www.newhaventheatercompany.com to officially meet Louis de Rougement, storyteller extraordinaire. For two decades, with a variety of leaders, the New Haven Theater Company has been producing plays, most often in site-specific venues around the city that lent themselves to the action. This is their first "home-grown" work composed by one of their own in their own new space, accessed after strolling through the intriguing items stuffed into the Vintage Home Goods Store. In 1992, Robert James Waller wrote a novel about a lonely woman who, although married with a family, felt something missing in her sensitive soul. Her accidental meeting with a National Geographic photographer from the state of Washington changes her life. He is in Madison County, Iowa doing a photographic essay on the covered bridges in the area. Their relationship sparks flames of kinship and love. Now the novel has been adapted into a new musical, "The Bridges of Madison County," with music and lyrics by Jason Robert Brown and book by Marsha Norman, at the Gerald Schoenfeld Theatre, 236 West 45th Street, New York City. A film had also been made starring Meryl Streep and Clint Eastwood. 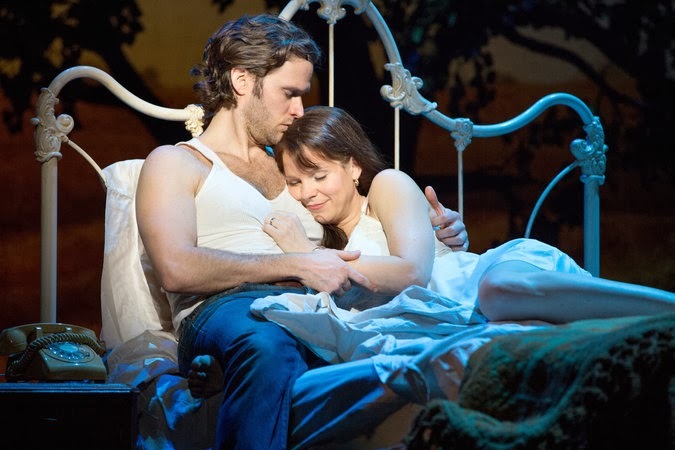 Kelli O' Hara is the searching for love and fulfillment Francesca who sings her heart out with a rich and vibrant poignancy that will almost bring you to tears while Steven Pasquale's Robert Kincaid is the handsome stranger who invades her quiet life and churns it into glorious possibilities. Hunter Foster plays Bud Johnson, Francesca's husband, the staid and serious man who cares deeply for his family. Now he is traveling with his kids Carolyn (Caitlin Kinnunen) and Michael (Derek Klena) to the Iowa State Fair for three days to show Carolyn's cow Stevie in the hopes of winning a blue ribbon in the 4H National Finals. Eighteen years before, Bud had been a soldier in the Army, stationed in Italy, where he met Francesca. She was still reeling from the death of her fiance and she clung to Bud, as her chance for a new life. While Francesca has security and a loving family and good neighbors like Marge (Cass Morgan) and Charlie (Michael X. Martin), she knows something is lacking in her life in the Iowa corn fields. When Robert Kinciad walks into her world, with an air of mystery and adventure, of danger and of caring, Francesca is faced with a momentous decision. Can she leave what she knows and holds dear, her husband and children? Can she grab the gold ring on Robert's merry-go-round that is so tempting? Bartlett Sher directs this wonderfully schmaltz story of longing and fulfillment, devotion and promise, on an interesting puzzle piece set designed by Michael Yeargan. Songs like "Falling Into You" and "Before and After You/One Second and a Million Miles" soar with emotion, with almost operatic intensity. For tickets ($59 and up), call Telecharge at 212-239-6200 or 800-432-7250 or online at Telecharge.com. Performances are Tuesday at 7 p.m., Wednesday at 2 p.m. and 8 p.m., Thursday at 7 p.m., Friday at 8 p.m., Saturday at 2 p.m. and 8 p.m. and Sunday at 3 p.m.
A lifetime of love is encapsulated in a few days of wonderful desire as a chance encounter has far-reaching consequences and an incredible sweetness. Everyone knows the story of “Pygmalion,” originally penned by George Bernard Shaw in 1912, about an arrogant phonetics teacher, Professor Henry Higgins who snatches a Cockney flower girl from the gutters of London. He bets his colleague Colonel Pickering that he can magically transform her, one Eliza Doolittle, to pass as royalty by simply teaching her to speak properly. 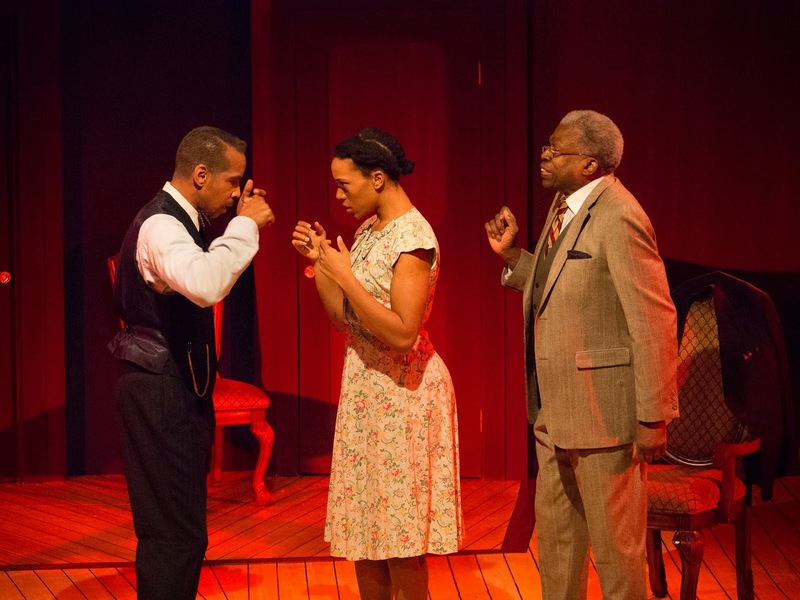 Now the original story has been adapted once again, this time by playwright Lawrence Thelen, this time set in 1938 in Harlem, New York with an all African-American cast. West Hartford’s Playhouse on Park is giving it a delightful world premiere production until Sunday, March 23. “Higgins in Harlem” is ready for its unveiling! Come experience the joy anew! Kevyn Morrow is the debonair and sophisticated professor who prides himself on his attention to vowels and consonants, speech patterns and dialects, especially as they reveal class and status. With the mellow notes of jazz resounding in the background, we find a charmingly bedraggled Eliza, captured beautifully by Geri-Nicole Love, in front of the Apollo Theater, trying to sell her daisies for a nickel and her roses for a dime. Soon the wager is set and Eliza is established in Sugar Hill, to the care of Higgins’ housekeeper Mrs Pearce (Xenia Gray) to be scrubbed and made ready for her make-over. Six long grueling months later, with the help of Pickering (Bob Johnson) and Henry’s mother (Janelle A. Robinson), the admiration of Freddie Hill (Joshua Ramos), the questioning positions of his mother and sister (Aurelia Clunie and Vanessa Butler) and the skepticism of Eliza’s father (Jeffrey Cousar), Eliza is victoriously presented to Harlem society. When Higgins and Pickering take all the credit for her success, denigrating any contribution she made to her own revelations, Eliza asserts her independence and, in effect, scores a knockout with her sanctimonious teacher. Thelen directs this unconventional but rewarding revisit to Shaw’s original work, an idea he developed while watching the Emmys years ago and a verbal confrontation between Wanda Sykes and Bill Cosby. The cast works well together to bring this familiar tale to new and intriguing life. For tickets ($32.50 ), call Playhouse on Park, 244 Park Road, West Hartford at 860-523-5900, ext. 10 or online at www.playhouseonpark.org. Performances are Wednesday and Thursday at 7:30 p.m., Friday and Saturday at 8 p.m., and Sunday at 2 p.m.
Plan a visit to Renaissance Harlem to see the traditional tale of a teacher and his eager pupil, with the twist of time and place an interesting change of pace. What happens when a genuine card carrying Communist and a free wheeling hippie renew their relationship as grandmother and grandson? 91 year old Vera Joseph has no warning that Leo had plans to crash on her Greenwich Village doorstep until he arrives in the middle of the night. After suffering a great personal loss, while biking across the country, Leo seeks refuge at grandma’s house. He needs to figure things out, examine his life choices and, essentially, grow up. 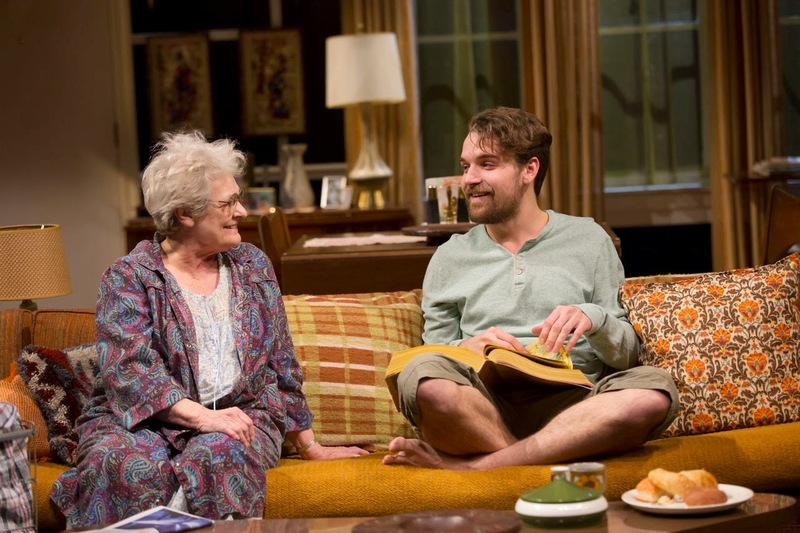 Using bits and pieces from her own history, playwright Amy Herzog has fashioned a new play of personal exploration, “4000 Miles,” getting its wheels in gear at Long Wharf Theatre in New Haven until Sunday, March 16. A finalist for a Pulitzer Prize, “4000 Miles” spans three generations, giving voice to many of the issues that face the elderly and the youth of today. Zouanne LeRoy stars as Vera, the feisty and forgetful bubbe who doesn’t hesitate to take in her conflicted grandchild. She recognizes that he is lost and seeking direction. She too is searching for answers, her confusion due to a great extent to what could be early Alzheimer’s. As Leo opens his heart and reveals his deepest thoughts, he connects with Vera in ways neither one of them ever could have anticipated. Eric Ting directs this inter-generational exploration of feelings on a deliberately dated set designed by Frank J. Alberino. All we need are the lace antimacaassars on the arm chairs. For tickets ($40-75), call Long Wharf Theatre, 222 Sargent Drive, New Haven at 203-787-4282 or online at www.longwharf.org. Performances are Tuesday 7 p.m., Wednesday at 2 p.m. and 7 p.m., Thursday at 8 p.m., Friday at 8 p.m., Saturday at 3 p.m. and 8 p.m. and Sunday at 2 p.m.
After more than nine decades of diversity, in politics and bed partners, Vera has a wealth of knowledge to impart to her young guest, whether or not he is ready to listen and to learn. The old saying goes that a secret is safe between three people only if two of them are dead. You may bury the past under six feet of dirt and deceit, but its bony fingers may rise to the surface, especially when you least expect it and most dread it happening. For successful writer and person of note, Hugo Latymer that moment comes when an old flame, the actress Carlotta Gray, dramatically reenters his life with an unusual request. The Hartford Stage will produce this sophisticated tale “A Song at Twilight” by Noel Coward until Sunday, March 16, in a co-production with the Westport Country Playhouse. Mia Dillon is perfection as the devoted and dedicated wife Hilde, who knows her place and her purpose. She has graduated from Hugo’s secretary to a platform of respectability as his wife of two decades. She reveres his prominence and enjoys her role as helpmate. Now, with the advent of his former mistress, Carlotta, a forthright and clever Gordana Rashovich, invading their private lives, Hilde is prepared to stand by Hugo. His frail health needs to be guarded and she is ready to be at his side for protection. For his part, Hugo, a manipulative and domineering Brian Murray, doesn’t tolerate anyone crossing his personal borders. He is barely civil to Hilde, although she takes his criticisms in stride. Agree with him and he can be charming; question him and all gloves and bets are off. The confrontation takes place at a prestigious hotel in Switzerland and Carlotta has an agenda, one Hugo is loath to acknowledge. Secrets and lies are ready to tumble out of the velvet bag they have been stored in for years. But are they really secrets or does Hugo desperately want them to be? Will their revelation destroy his reputation? Who will back down first when daggers are drawn? Mark Lamos keeps the tension taut and the wit brittle and sharp, on a luxurious set designed by Alexander Dodge. For tickets ($25 and up), call the Hartford Stage, 50 Church Street, Hartford at 860-527-5151 or online at www.hartfordstage.org. Performances are Tuesday, Wednesday,Thursday, and Sunday at 7:30 p.m., Friday and Saturday at 8 p.m., with matinees Sunday and selected Wednesdays and Saturdays at 2 p.m.
Order your brandy or flute of pink champagne from Felix, the waiter (Nicholas Carriere) so you will be properly lubricated as you witness the curious conflict Carlotta stages with the confidence that she can control the results. 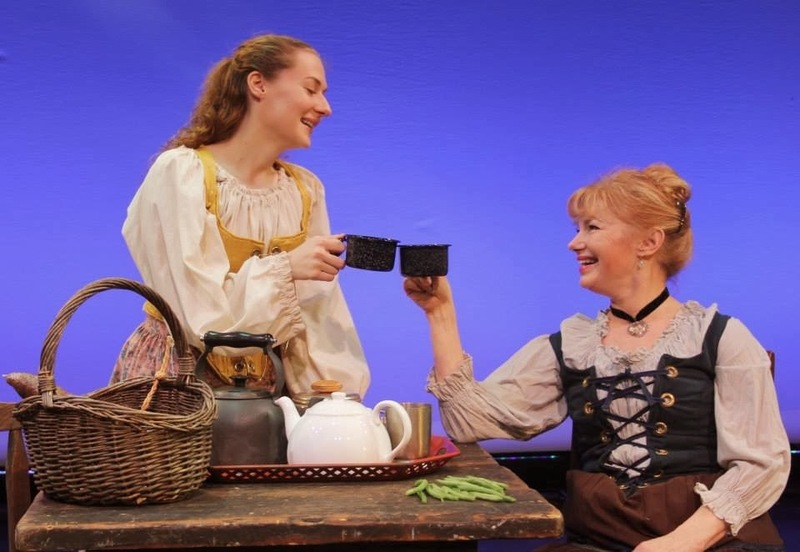 Sisters share a special bond, a connection that is evident and poignantly so in “The Crimson Thread.” No need to pack a trunk or get a passport for travel, courtesy of Seven Angels Theatre in Waterbury, you’re invited to go back in time to the emerald green fields of Ireland. Begin your journey in 1869 with two sisters who are facing separation and the prospect of never meeting again and follow subsequent generations of the same family to the New World. Two decades ago Mary Hanes wrote this moving and tender tale of Irish immigrants that enjoyed its world premiere here at Seven Angels Theatre in 1994, with Dan Lauria as director and a trio of actresses, Stephanie Zimbalist, Shanna Reed and Kathleen Noone. Now Artistic Director Semina De Laurentis is revisiting “The Crimson Thread,” that has been requested many times over the years by its original audience. Here the sisters, dear and close, will bring their stories once again to the stage: Melissa Macleod Herion, Barbara McCulloh and Kelly Campbell, until Sunday, March 16. At the sod cottage in Dun Laoghaire, Ireland in 1869, we first meet Eilis and Bridget. Eilis is growing weary and fretful that her husband Daniel has been gone three long years, off to America, to earn passage and escape poverty for his family. A very pregnant Bridget has brought her sister a letter from the Promised Land and Eilis is afraid to even open it. For Bridget, the letter represents hope. She is ready to fight to guarantee a future for her brood, knowing her husband’s sickness from working in the coal mines is terminal. The next scene moves to a widow’s walk in New Bedford, Massachusetts in 1889 where Kathleen is trying to comfort her sister Fionnuala, inconsolable since her husband Charlie has been lost at sea. Kathleen works to transfer strength, hope and promise into her grieving sibling. The play ends in New York City in 1911, just after the tragic Triangle Shirtwaist Company fire where 146 women perished, women who earned $4 a week, working 14 hours a day. Maggie is their fiery and dedicated voice and even though sister Nora brings word of their mother’s illness, she is vigilant in her quest to make a difference. Semina De Laurentis directs this sterling cast with a sensitive and caring hand. Thursday at 8 p.m., Friday at 8 p.m., Saturday at 2 p.m. and8 p.m. and Sunday at 2 p.m.
Get swept away in the poetry and passion of these sisters’ stories that will touch your heart, while providing both laughter and tears. Soldiers put their lives at risk to defend our freedoms in hot spots like Afghanistan and Iraq on a day-to-day basis. How much less in danger are the reporters and photo journalists who travel to record the action and provide a picture and commentary. 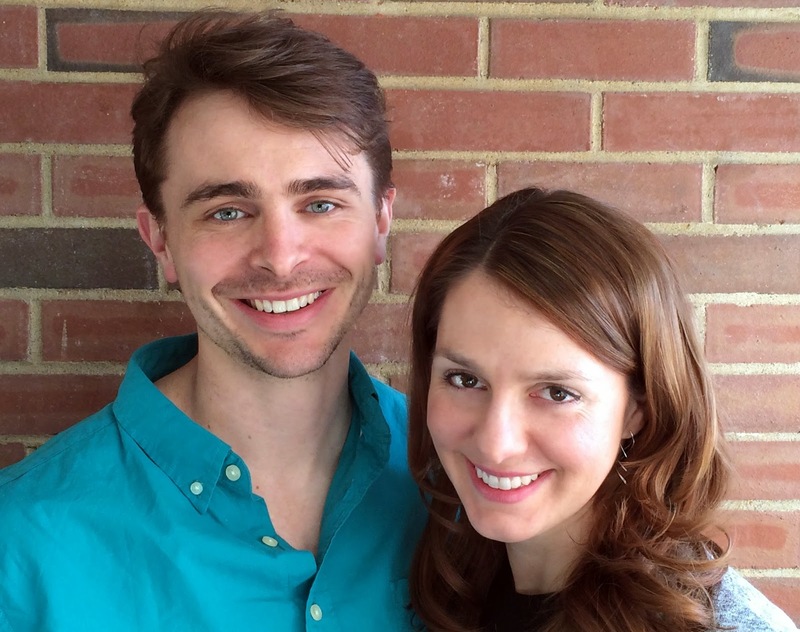 Come meet James and Sarah who have been on the front lines in harm's way for years. In New Haven playwright and Pulitzer Prize winner Donald Margulies’ intense drama “Time Stands Still,“ we become intimately involved in the pressing issues that currently plague the two. 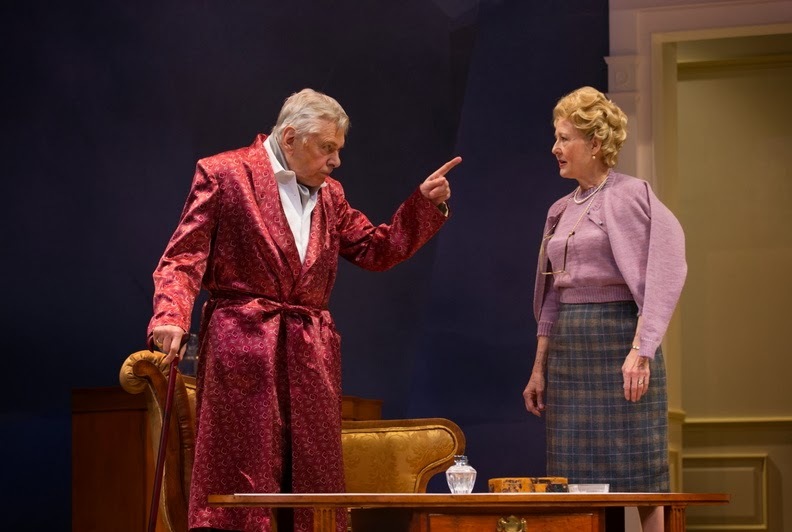 Until Saturday, March 15, Square One Theatre Company of Stratford will engage the audience with a quartet of fine actors at one momentous moment in time. 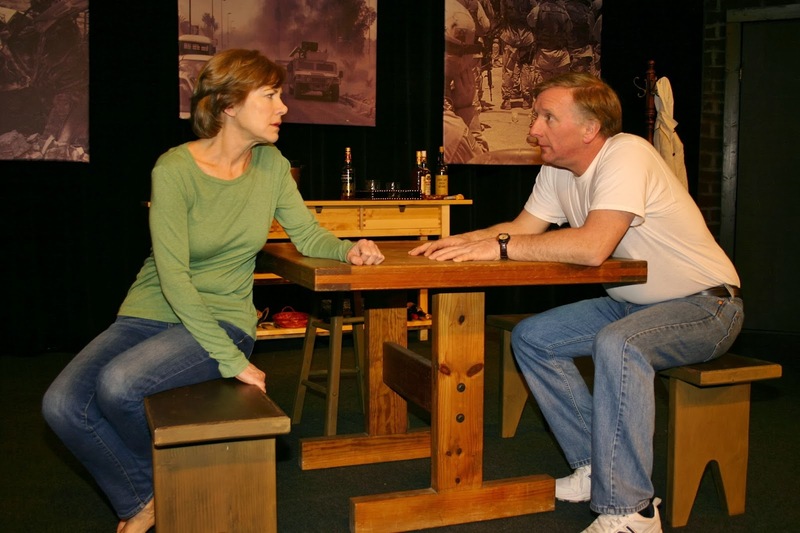 Sarah (Janet Rathert) has just been severely injured by an exploding bomb in Iraq, one that killed her interpreter and dear friend Terek. When James, who has been back in the United States recovering from a nervous breakdown, hears of her trauma, he rushes overseas to bring her safely home. Sarah is suffering mentally and physically, trying bravely to put herself back together again, like Humpty Dumpty who had a great fall. James (David Victor) sees the incident as a sign from the gods that their time defying the odds in a war zone is at an end. He wants home and hearth, to get married to Sarah and start a family. James looks with envy at their good friend, Richard,(Pat Leo) their editor,who has changed his life dramatically since he met the young and eager event planner Mandy (Alisson Wood). Richard and Mandy, despite the differences in their ages, are in the bloom of love and expecting a child. The outspoken Mandy questions what Sarah and James are doing overseas, risking their safety, causing the couple to reevaluate their personal and professional relationships. Richard just wants them to be as happy as he is and will support whatever decisions they make. Their apartment in the Williamsburg section of Brooklyn, New York fairly bristles with tension under the powerful direction of Tom Holehan. For tickets ($20, students and seniors $19), call the Square One Theatre Company, 2422 Main Street, Stratford at 203-375-8778 or online at www.squareonetheatre.com. Performances are Friday and Saturday at 8 p.m. and Sunday at 2 p.m., with a special twilight matinee Saturday, March 15 at 4 p.m.
Can Sarah abandon the lens of her camera for safer stories in the United States? Can James change the focus of his words or are the two addicted to action, and unable to change the direction of their lives? 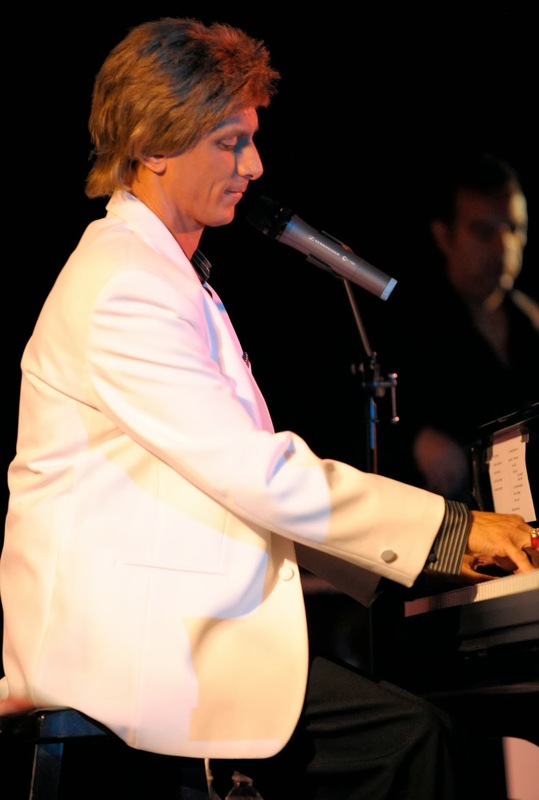 CHRIS CHAN AS BARRY MANILOW IN A TRIBUTE SHOW "BARRY'S SONGBOOK"
Barry Manilow holds iconic status as a composer and contemporary singer, enjoying record sales and a long and varied career in the pop and rock and ballad genres. A consummate showman, he began his professional standing as a jingle writer for advertisers like Dr. Pepper, McDonald’s, and State Farm Insurance. His status jumped up a few rungs of the ladder when Bette Midler hired him as her arranger, musical director and pianist. His hit tunes “Mandy,” “Copacabana,” “Could It Be Magic,” “This One’s for You,” “Can’t Smile Without You” and “When October Goes” cemented his meteoric rise in the charts. 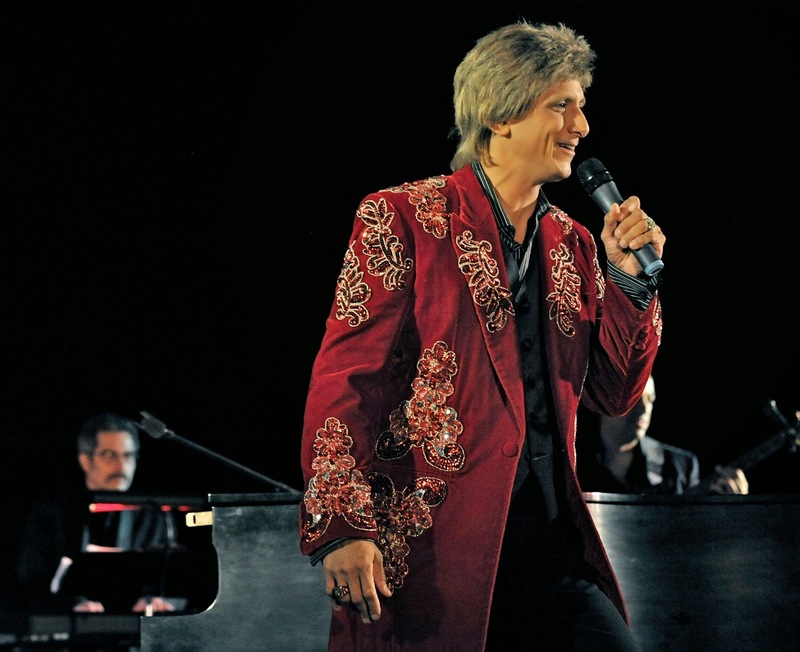 For him, “My goal was always to be involved in music that would outlive me.” You are invited to hear his timeless tunes, in a tribute concert entitled “Barry’s Songbook,” courtesy of Chris Chan, whose musical celebration of Barry Manilow’s music will be at the Downtown Cabaret Theatre. For three performances only, Friday, March 7 at 7:30 p.m. and Saturday, March 8 at 5:30 p.m. and 8:30 p.m., Chris Chan will “channel” the star and make the experience memorable. Chris will create the man he calls “the perfect musical human prototype,” the showman he admires and whose music he emulates. He’ll give his efforts 200% of his talent, employing all the music, vocals and arrangements at his disposal and having a lot of fun and adventure in the process. For tickets ($47), call the Downtown Cabaret Theatre, 263 Golden Hill Street, Bridgeport at 203-576-1636 or online at www.downtowncabaret.org. Come cheer on Chris Chan as he performs his magical musical tribute to Barry Manilow and join his expanding personal fan club. “MUCH ADO ABOUT NOTHING” IS SOMETHING GREAT! Will Shakespeare enjoys playing Cupid and making fools out of would-be lovers, turning hearts inside out, sporting with affections and playing tricks but, ultimately, assuring that “all’s well that ends well.” In his delightful comedy “Much Ado about Nothing,” currently intriguing courtships at the Nafe Katter Theatre on the University of Connecticut campus in Storrs until Sunday, March 9, the Connecticut Repertory Theatre takes merry mayhem poking holes in romance. Come meet two pairs of lovers, one set who absolutely disdain the concept and openly attack each other verbally, Benedick and Beatrice, and the other couple, at the diametric opposite end of the spectrum, is rendered speechless by their adoration for each other, Claudio and Hero. The action is set in the 1950’s, in a Cape Cod-like location, with soldiers returning from the Korean conflict. A feisty Beatrice (Sarah Wintermeyer) takes great pleasure in a ping-pong game of verbal volleys that she slams at Benedick (James Jelkin). On the surface, they can barely stand to be in the other’s presence, on the tennis court, the golf greens or at a lavish dance party. Perhaps they doth protest too much? Leonato (David McCann) has a lovely daughter Hero (Briana Maia) and he encourages the Prince (Anthony J. Goes) to woo her in Claudio’s stead (Colby Lewis). The match is quickly set and the marriage date announced. Too easy one might question? That old matchmaker Will is not above a little trickery and deception to make his point. The Prince’s devious brother Don John (Will Haden) is determined to railroad the festivities and sets Borachio (Thomas Brazzle) and Conrade (Ryan Marcone) in a plot, using Hero’s unsuspecting maid Margaret (Olivia Saccomanno) as the foil. With a bit of clever comic confusion, the police constable Dogberry (Darek Burkowski) and his associate Verges (Kevin Hilversum) uncover the dastardly deed, but not before a lot of emotional damage has been done. Will’s characters are too fast to accuse and too quick to forgive in what might be called a tragic moment in the midst of this merry comedy. Paul Mullins directs an excellent cast, keeping the pace moving in a multitude of directions. Joe Keener III has set his stage design in clever ways while Tiffany Delligatti has outdone herself in the costume parade. Songs by Frank Sinatra capture the mood effectively. For tickets ($7-37), call 860-486-2113 or online at www.crt.uconn.edu. The performances will take place at the Nafe Katter Theatre, 820 Bolton Road, Storrs. Curtains are Wednesday and Thursday at 7:30 p.m., Friday and Saturday at 8 p.m. and Sunday at 2 p.m.
Velvet gloves are discarded as witty words are bandied about until the battlers, Benedick and Beatrice, are tricked into revealing their true affections. Come witness their battle royal.